Scotch & Soda is a team of discoverers and collectors scouring the globe for that painting, poem, vintage piece, ruin, or artefact that sparks our never-ending curiosity. Treasures uncovered on worldly wanders are poured into collections and signature looks that clash eras, classics, places of inspiration; mashing unexpected fabrics and patterns. Men's, women's and kids collection all start life at our canal-side design studio in a former church in the heart of Amsterdam. 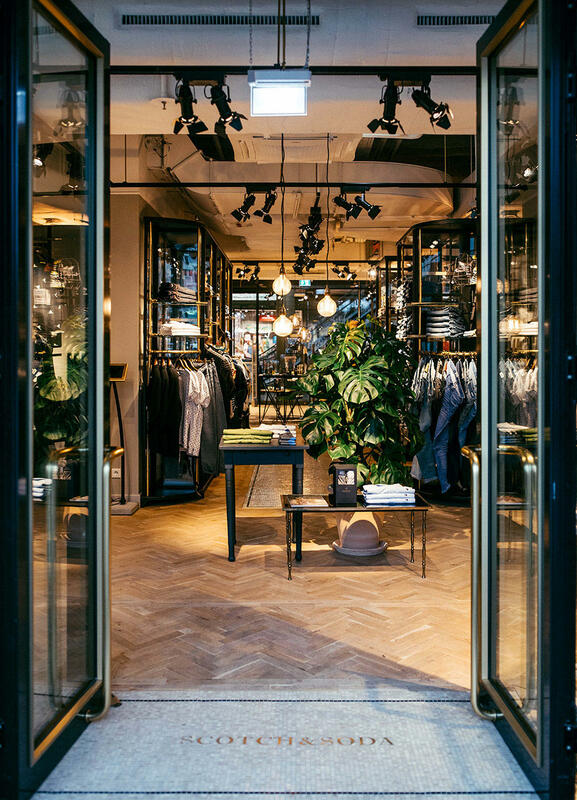 Scotch & Soda has over 200 stores, and can be found in over 8000 doors, including the best global department stores and independents.